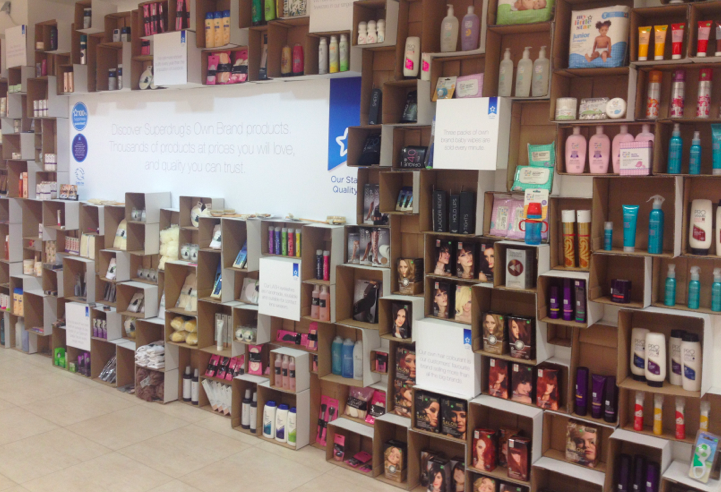 So last month the Snoochie Boochies team headed off to an amazing press event from Superdrug, where we were shown just what makes this high street store stand out from the crowd and deliver in terms of good quality, affordable beauty products. And we can tell you now we weren’t disappointed! The range that Superdrug has to offer, particularly this Autumn is mind blowing, so whether its a quick beauty fix before a night out or a new bit of ‘ju-juing’ you want to try to give your hair that added lift then this is the place to go for something that wont break the bank. First and foremost, we were staggered to learn of all the new beauty brands that are expanding or debuting in the store. From Bourgois rolling out a new range of nail care kits and manicure bars in certain stores to new technology to help the health and hydration of your skin and of course Superdrug’s own beauty brands; its pretty clear to see that this shop quickly positioning itself as much more than a chemist/convenience store, its starting a beauty revolution and here are some of our tried and tested favourites! One of the hardest beauty buys is a good mascara, and having given this one a whirl, we can tell you, you wont be disappointed. With a twisted wire brush which has been designed to give lashes an instant, extreme boost, adding maximum volume to each individual lash. Thaks to the wide gaps in the brush’s bristles, lashes are separated and defined for an ultra-feminie wide-eyed baby doll look. So bring back the sixties, get yourself some fuller lashes ready for the party season. This little number joins the rest of the Gosh mascara range, so if you’re already a fan of them, its time to add to your collection, and if you’re new to it all, then this is definitely one beauty product worth taking a chance on, you wont be disappointed! Blow the very first blow dry bar has come a long way since its Manhattan Meat Packing District start up in 2005. Now gracing British shores the leader and innovator of the booming blow dry industry has teamed up with Superdrug to help bring a little NYC glamour to all of our hair care rituals. What we particularly loved more than anything is the Textstyle dry texture hair spray which provides dramatic separation to instantly texturize limp locks. Now this is just a preview as its not on sale in stores just yet, but will be in the coming months, and its going to be a definite must have product for the party season. Whether your hair is thin and dry and lacking a little bit of lustre, or luscious and long, then this spray can definitely transform it into something completely different and fabulous, so make sure you look out for it asap! So it definitely takes some toll on us all going from party to party, however, you can always ‘look’ like you’re fresh from the Summer and ready to party all night long thanks to this little number from Gosh. Its the ultimate first aid tool for tired eyes. 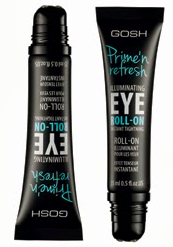 The roll on Primer nourishes and brightens the delicate eye area, concealing fine lines, dark circles and puffiness, giving an instant effect thanks to special ingredients including SpectraFlex, Matrixyl 3000 and extracts of Kigelia from the African Kigelia fruit! So what are you waiting for, get this top of your list as your new best friend for the 2013 party season! So there you go guys, get yourselves to Superdrug as your new one stop shop for everything beauty and fabulous this season, there’s so much to choose from we’ll be doing further recommendations over the next couple of months, but for now, keep a look out for these fabulous products and get partying!! !